JAPSPEED High Flow Sports CATS £199 delivered!!! The purpose of this downpipe is to maximise the exhaust flow and turbo spool up. 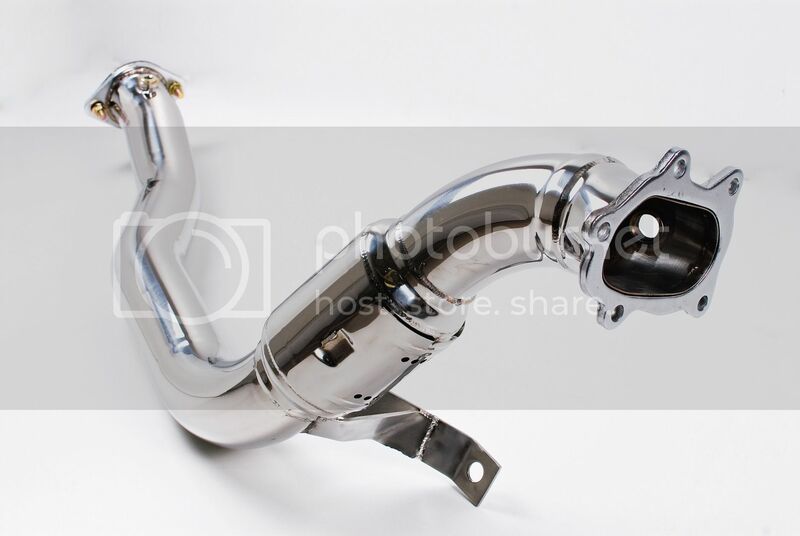 Replacing the downpipe is one of the most effective ways of increasing vehicle power. These are completely road legal and won’t be a problem when it comes to M.O.T time as the 200CPI sports cat, this will free up the car a lot more over the standard one and still allow it to pass the emissions test! This offer has always proven to be a popular one with forum members so make sure you get one before they sell out!!! * Computerised mandrel bent 3 Inch SUS 304 fully polished stainless steel. * Built in 200CPI sports cat. * Full straight through 3 Inch with 1/2 inch thick flanges and 3 Inch exit. 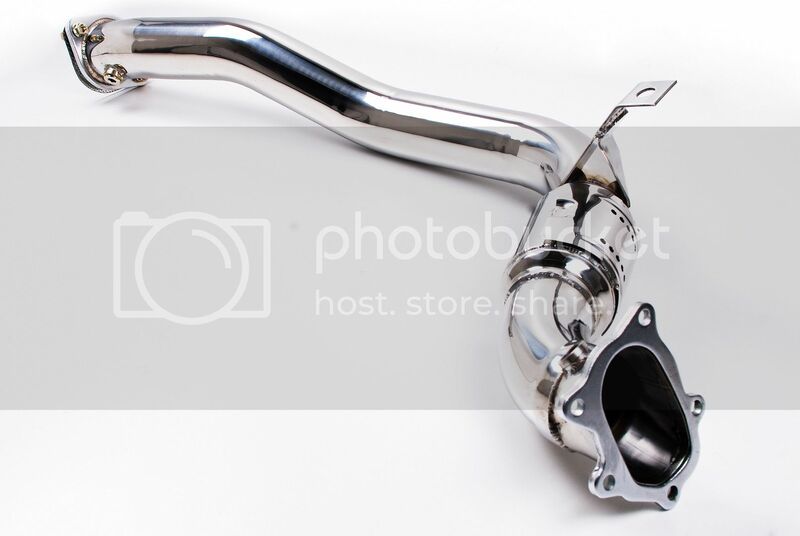 * This downpipe has been designed to fit both the STI and the WRX with NO fitment issues. * Very high quality part. Once again we are offering these to you at the great forum price of £239 Delivered. To get your hands on these all you need to do is call on 08444 489 080 to pay by debit card. I look forward to sending more of these out to you soon! Last edited by [email protected]; 25 February 2016 at 03:14 PM. anyone interested? lets see some names on the list! come on guys we have these in and ready for dispatch! I'm interested if we can get above 10. I think everyone's asleep or on holiday on scoobynet at the moment! lol! Since the end of the pipe is 3", how can I fit it to a Milltek centre pipe which is 2.5"? would I have to buy a 3" cat back to suit? Or can you supply a cat pipe reduced to 2.5"......? as above need it to fit 2.5inch centre? Pity you don't do twinscroll ones as there is no budget downpipes available for these cars and am sure there would be a Market for them, also even though they may pass the mot on post 2001 cars they would not strictly be road legal as they officially need to be to a set standard can't remember the number. I'll have one - I presume they fit any after market exhaust (I've got a Ninja on mine)? Hi Guys we do do the centre section with a 3 inch bore that then narrows down to 2.5 inch at the outlet which is priced at £109 on the Japspeed website. If you would like one of these added to the purchase of the sports cat I could do the centre section for £95.00. just let me know if you require this when you order. yes this will still pass an mot on emissions. Do you fit as well as supply? I'm looking for a whole system. we do not offer a fitting service. free bump! I'm sure you guys did a deal on these a year or two back? Or maybe i just bought it from you direct, either way it looks great, performs great and i can still get past the smoke test! Don't forget to order some heat wrap too guys! might be interested in one for a classic i wont commit to the list yet have to see how funds are would deffo go for it if there is 10 name's. Last edited by gretts; 23 July 2011 at 04:25 PM. well you heard it everyone gretts wants one if we get 10 names so lets get 10 names on the list so he doesn't miss out!! Come on this is a great price for a great product!!! Get your name on the list!!! Do these definitely fit the hawkeye sti? as I know there is sometimes confusion between the hawkeye and new age (blob, bug), regarding fitment issues, the hawk is slightly different to the blobeye?? Last edited by mejpickles; 29 July 2011 at 04:49 PM. Did it arrive on the Friday?